signing party banner Archives - Custom sports posters, personalized team collages, senior banners, and team schedules for your athlete! signing party banner Archives - Custom sports posters, personalized team collages, senior banners, and team schedules for your athlete! 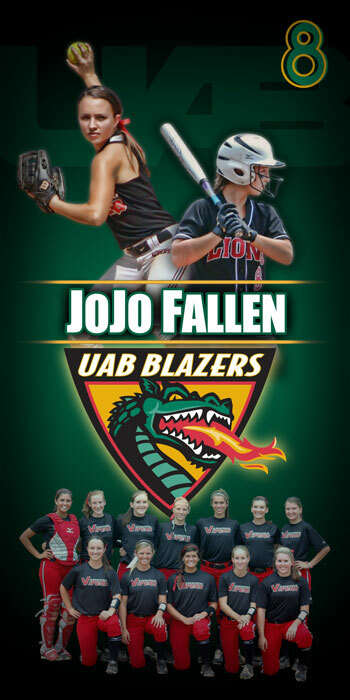 Tag Archives: "signing party banner"
We were happy to help JoJo Fallen celebrate her accomplishment of signing with the UAB softball team by creating a custom softball banner for her big signing day. The custom softball design features her new team, the UAB Blazers, Birmingham Vipers, and Prattville High School. 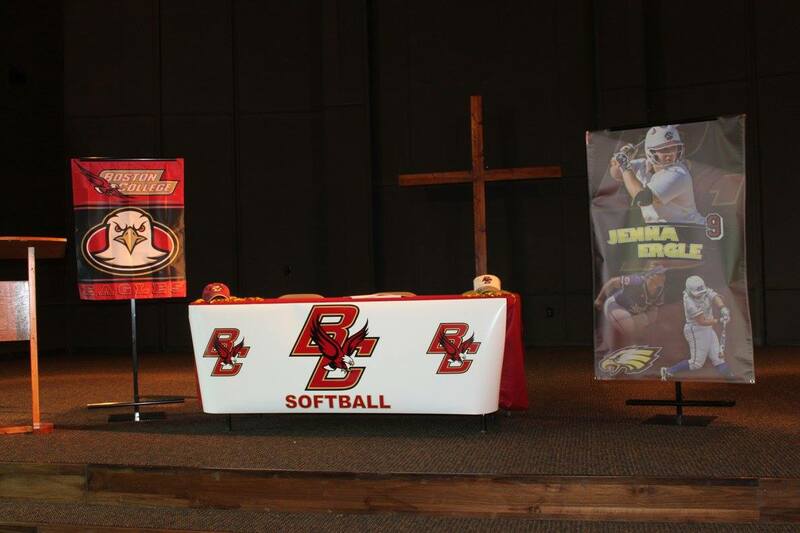 A big thanks to her mom for choosing us to create the custom softball banner to help with event.